No matter how religious you are at turning off gas or electric cooking rings, or extinguishing lit candles in the bedroom, having to make a home insurance claim following a fire is a constant possibility, with everything from faulty washing machines to cigarettes and overloaded electrical sockets constituting a fire risk. But there is another cause to consider. Regrettably, arson is becoming an ever-more-common crime and there is a growing willingness to seek retribution through fire, on the part of those with a grudge. Even if it is not your property that is the victim of arson, you could find yourself needing help with a home insurance claim, if your home adjoins one that is. 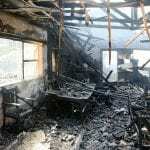 A staggering 47% of all fires (domestic and non-domestic) attended by fire and rescue services in England are started deliberately, according to the Arson Prevention Bureau (http://www.stoparsonuk.org/arson/). In 2017-18, of the 30,000 house fires logged nationwide, more than 10% were started intentionally. An arson-related home insurance claim can occur anywhere in the country. Counties such as Hampshire have seen a 10% increase in deliberately started house fires and other locations have seen big increases in arson attacks in general. A 37% increase in Wolverhampton and a 33% increase in Sandwell, as recorded in 2016-17, are far from unusual hikes. The increase in this heinous crime has been accompanied by a sizeable decrease in the number of firefighters tackling the resulting fires, due to austerity cut-backs. This lack of manpower can hinder progress with a claim, because forensic reports can be held up for quite some time, whilst information is gathered from fire officers working different shifts. There is a growing level of mistrust around fire-related home insurance claims, due to the prevalence of arson and its attractiveness to those suffering financial hardships that could be relieved by an insurance payout. Consequently, progressing an honest home insurance claim, to seek recompense for fire damage, can sometimes be trickier than ever. Insurers are typically super-keen to gather as much information as possible, before signing off a claim, leaving many innocent homeowners confused as to how to get their weakened and smoke-damaged home reinstated quickly and back to how it was pre-fire. Many of the home’s contents and possessions may have been destroyed, whilst the building’s fabric can be damaged not just by the fire, but also by the water used to put it out. The majority of home insurance claims scenarios, in cases where fires really took hold, feature a home that is uninhabitable, leaving the homeowner at a loss with regard to what to do next. 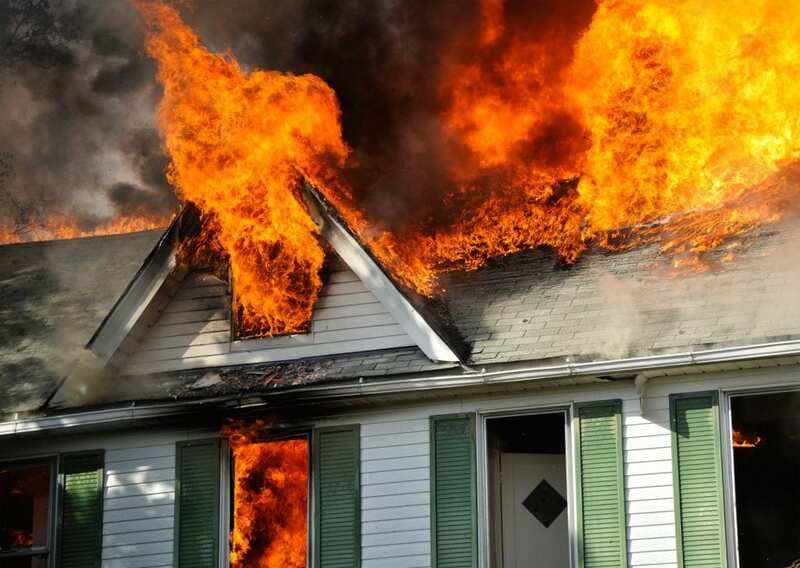 If an insured policyholder is found to have started the fire themselves, there is no way a home insurance claim can be paid, as fraud invalidates the policy. If, however, they are the genuine victim of an arson attack, or an innocent party suffering property damage and loss because of a fire in another nearby property, as much help as possible is typically useful, to avoid the insurer reducing or repudiating the claim. Assistance from day one should assist the home insurance policyholder with their immediate needs, such as alternative housing, and provide answers regarding timescales and their rights under the terms of their home insurance policy. Just having someone there, on their side, can be a huge relief, as interpreting insurance smallprint is often difficult to do. Additionally, the insurer’s representative, the loss adjuster, may offer a low valuation of a home and its contents, as they determine what the payout should be. At other times, property can be overvalued, suggesting the home is underinsured, which can also be a devastating blow. Without the knowledge to argue differently and oppose the loss adjuster’s view and valuation, a homeowner really can be all at sea in the wake of a fire. Having an expert and multi award-winning loss assessor like Aspray assist with a home insurance claim can be a huge relief, particularly when this assistance comes at no cost to the homeowner, provided that they use Aspray’s vetted and approved contractors to do the repairs. All of Aspray’s loss assessors are there to empathise with the insured homeowner, whilst being resilient in negotiations with the insurer’s representative – the loss adjuster. If you need someone to sift through the embers of your home insurance policy and assess just what your claim entitlement is in the aftermath of a fire, or other property impact, one call to Aspray’s hotline – 0800 077 6705 – will get you the help you need. To support the fantastic work that Britain’s Firefighters do, Aspray has made the ‘Fire Fighters Charity’ its supported charity of 2019. Aspray’s loss assessors in the field, along with the head office team, have already raised over £1600 (as at December 31 2018) and have exciting and innovative ways in mind, through which to raise a much larger sum by December 31, 2019.